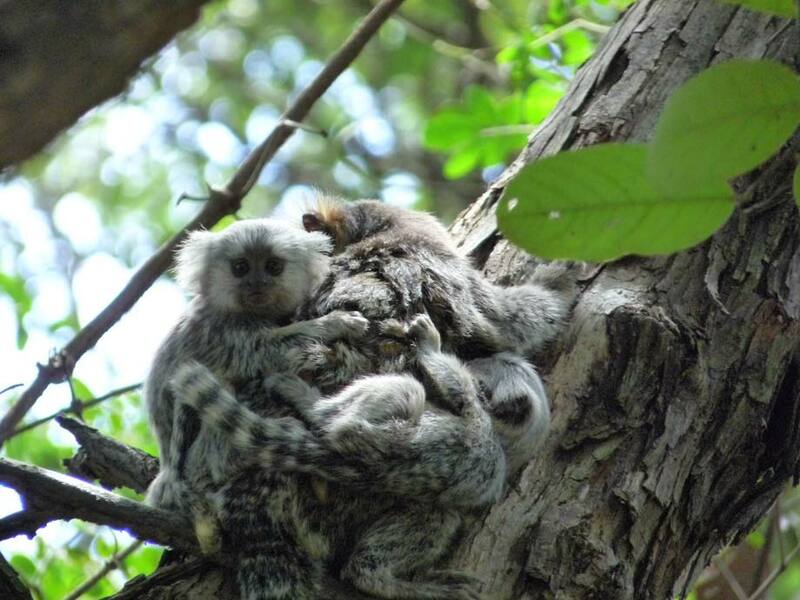 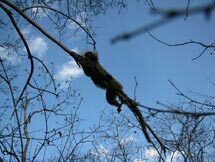 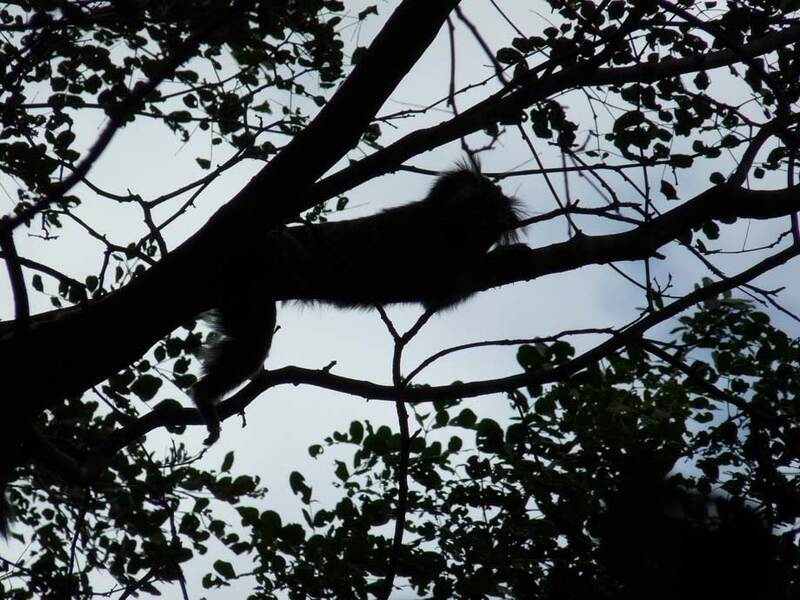 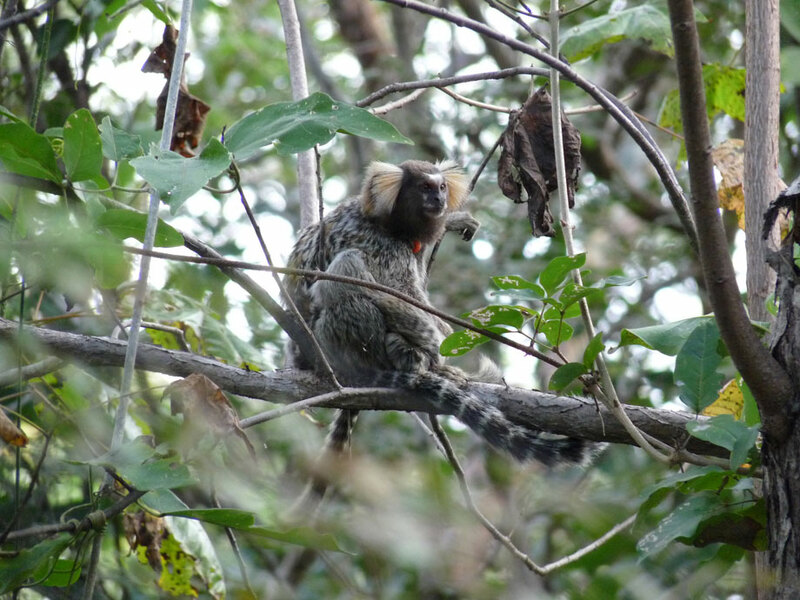 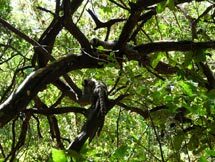 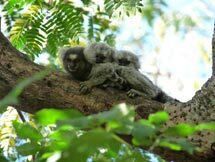 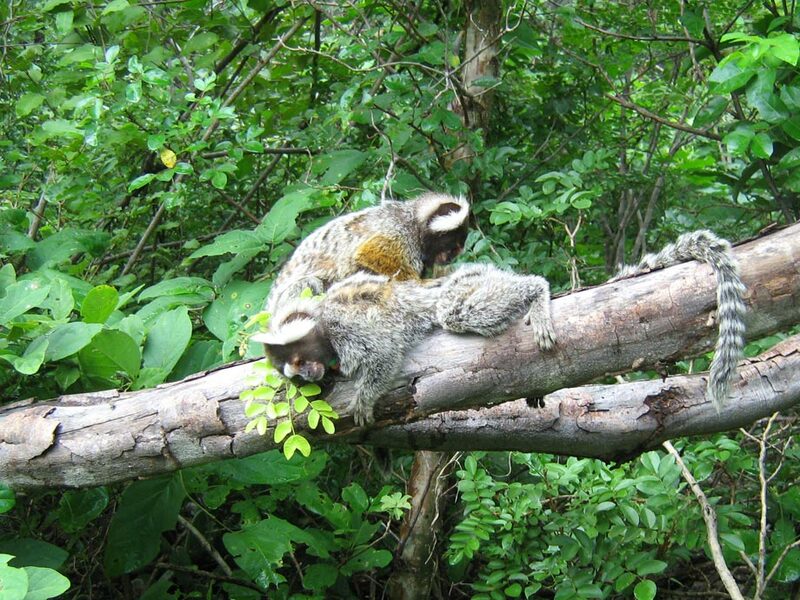 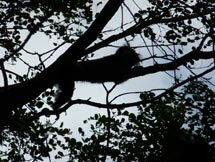 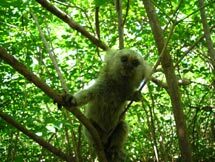 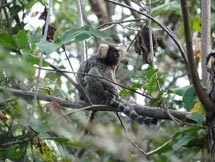 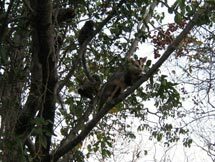 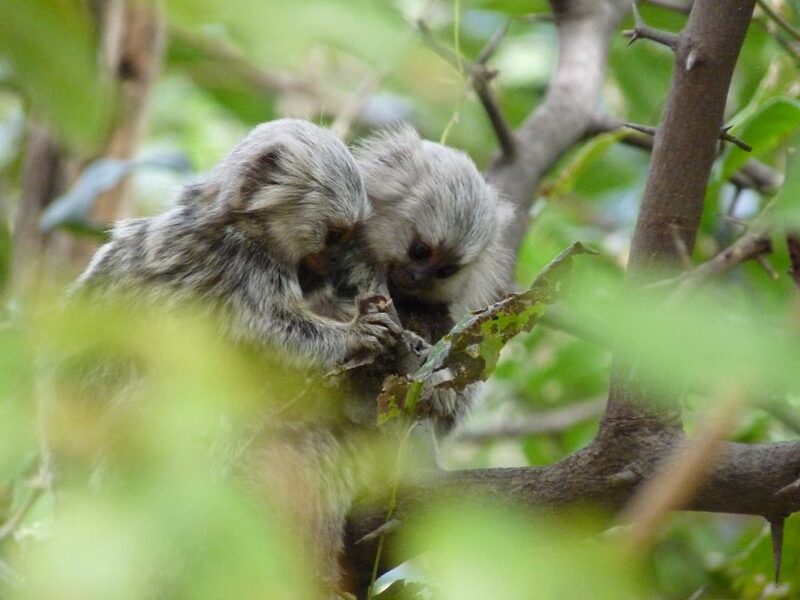 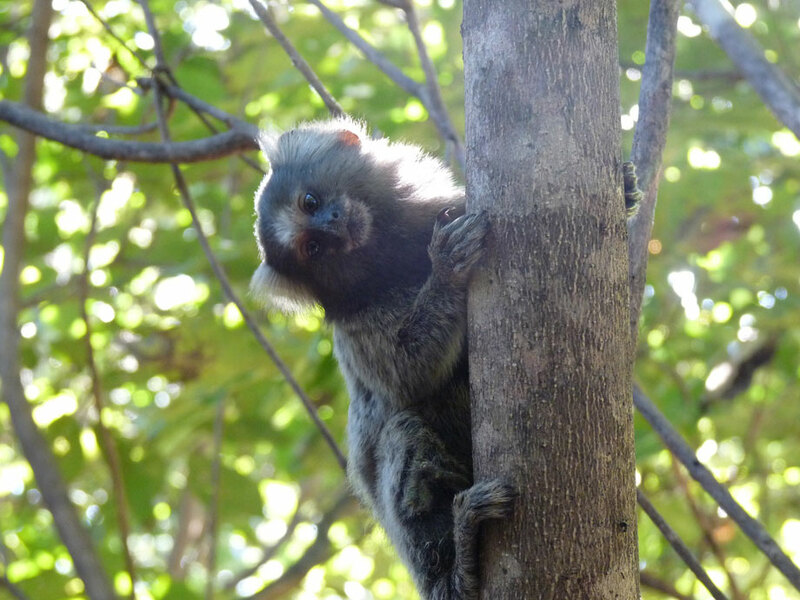 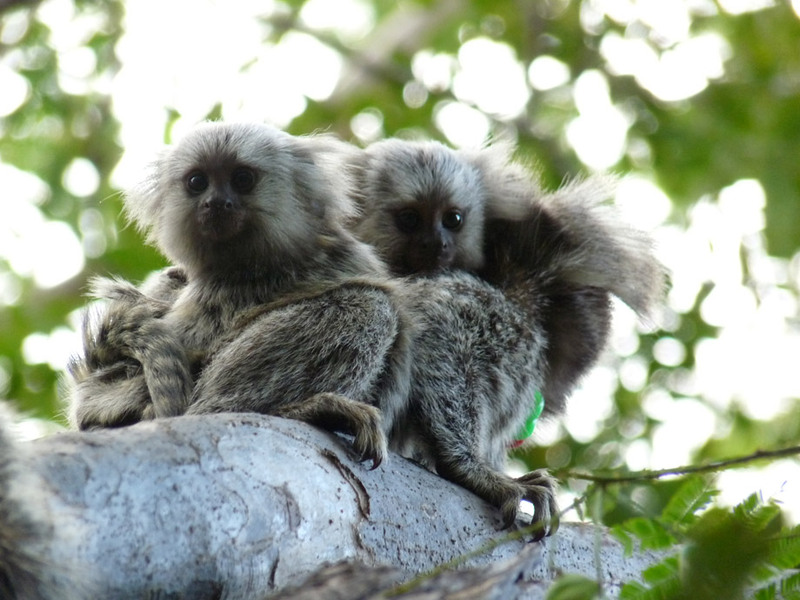 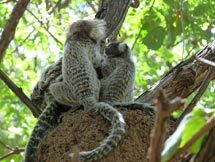 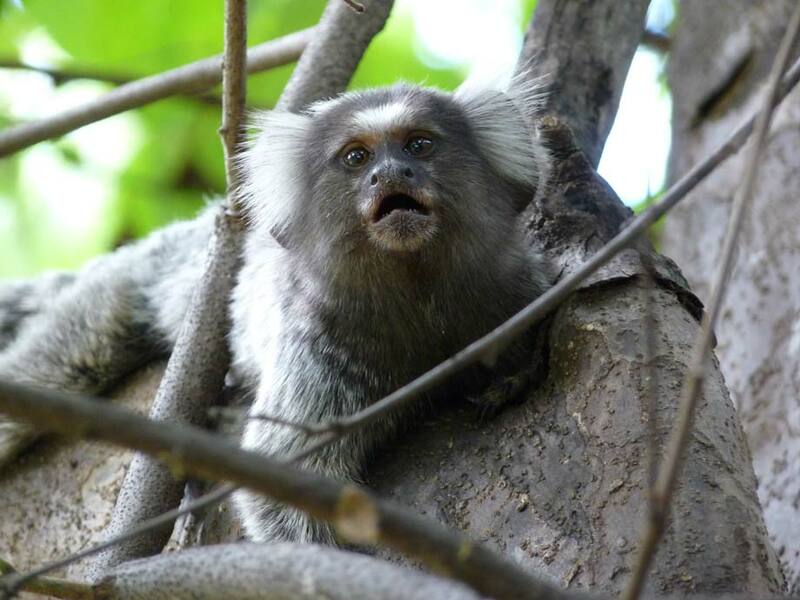 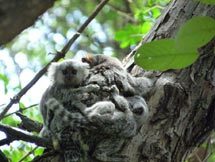 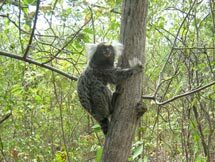 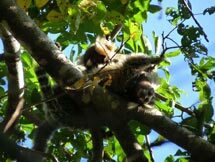 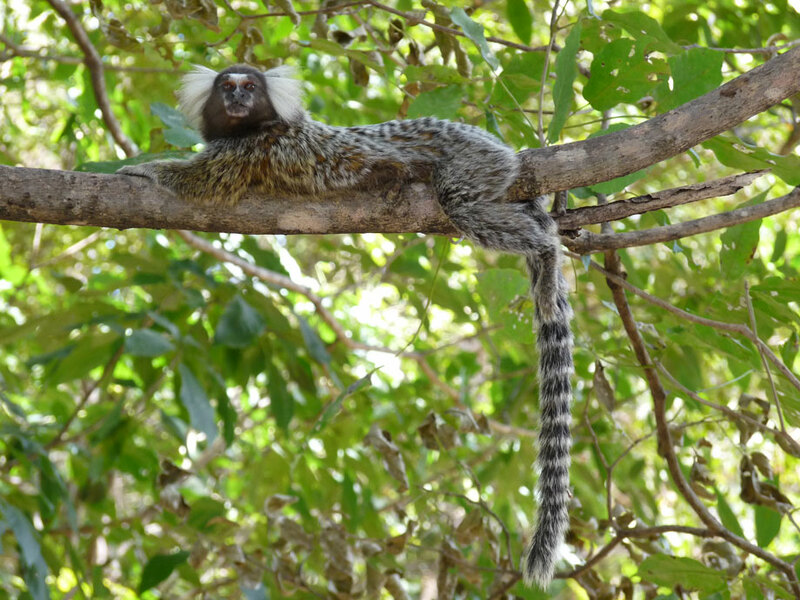 Follow wild common marmosets through their day from waking to sleeping in this video. 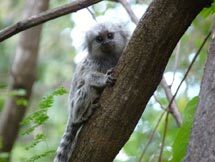 Natural adaptations of common marmosets are highlighted with suggestions as to how these may be catered for in captivity. 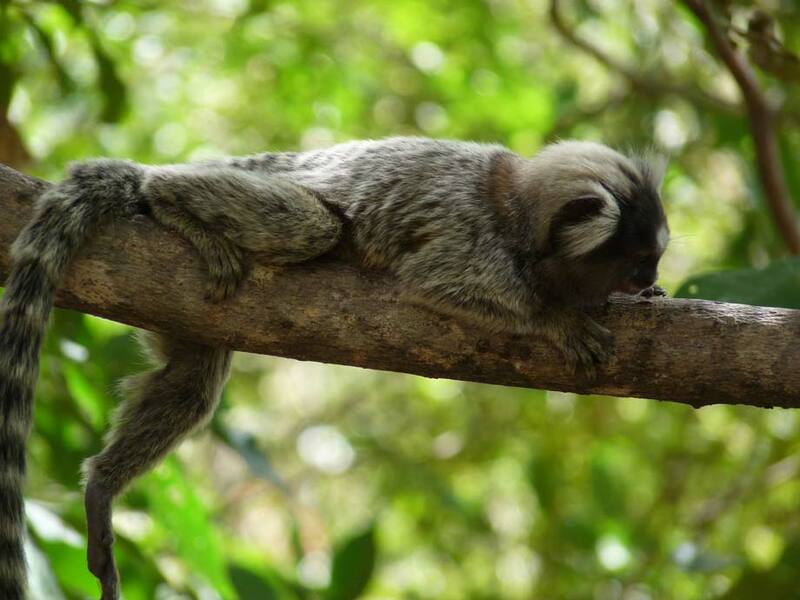 Time is spent gouging for gum and foraging for insects, interspersed with bouts of resting and grooming. 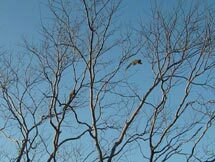 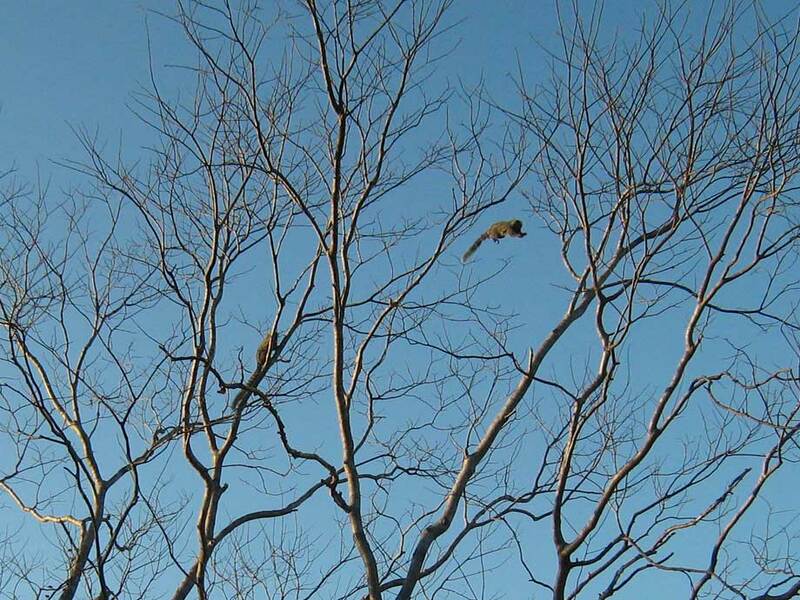 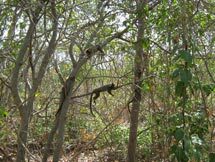 A near-constant lookout is maintained to detect potential predators. Twin babies are cared for by all members of the family group. 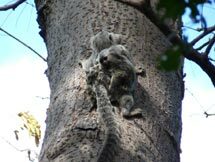 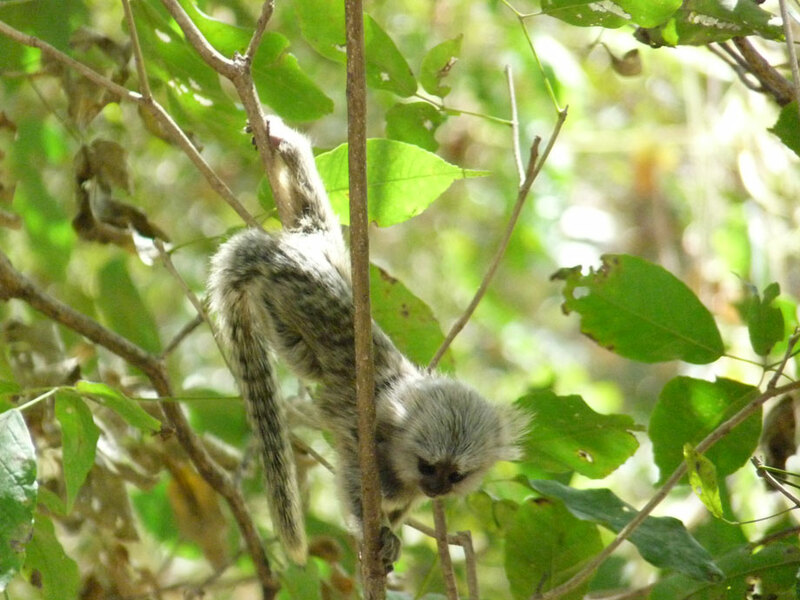 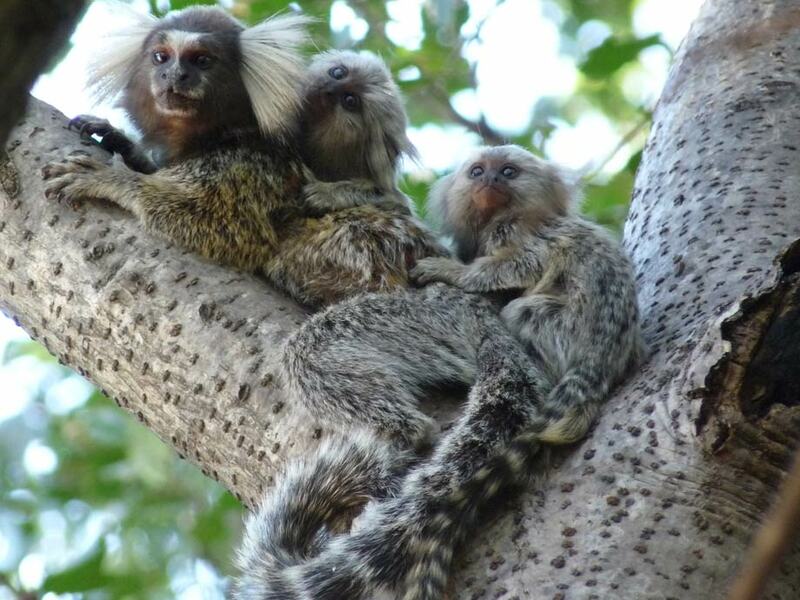 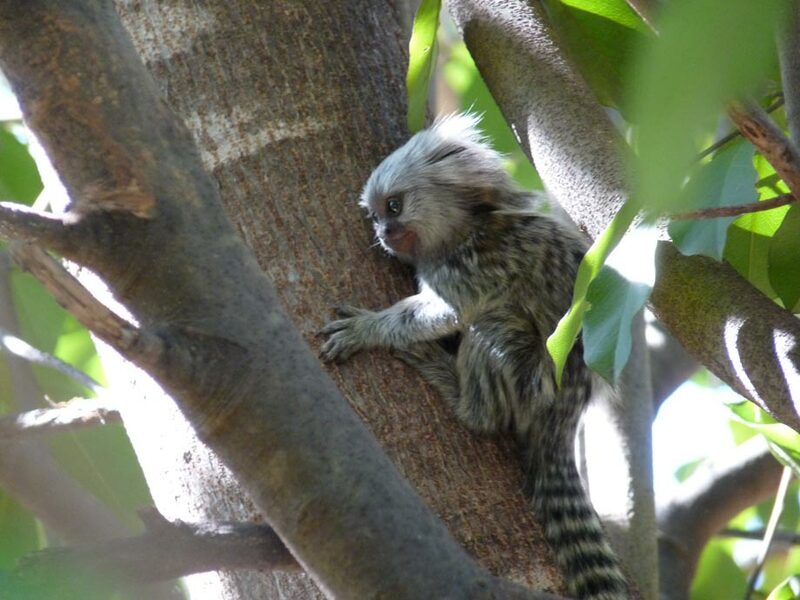 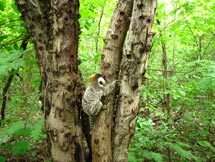 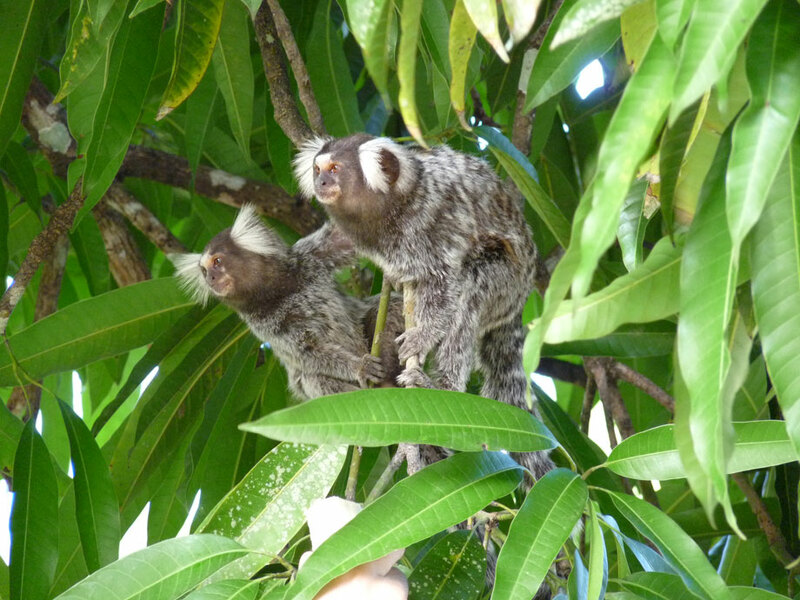 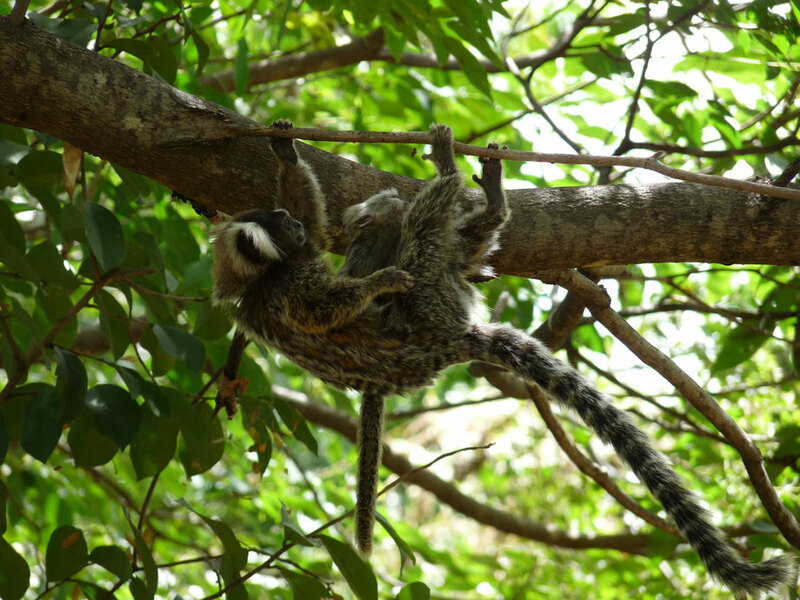 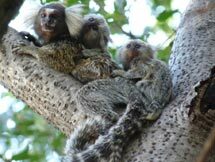 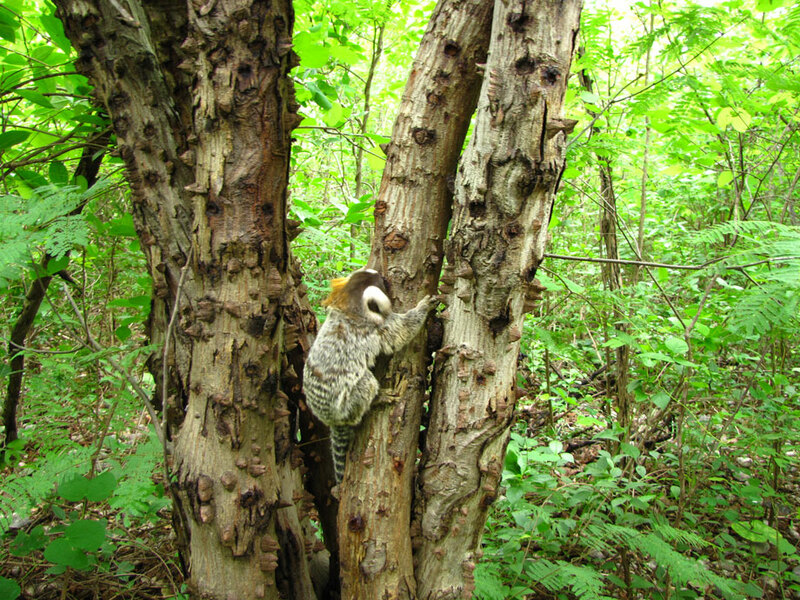 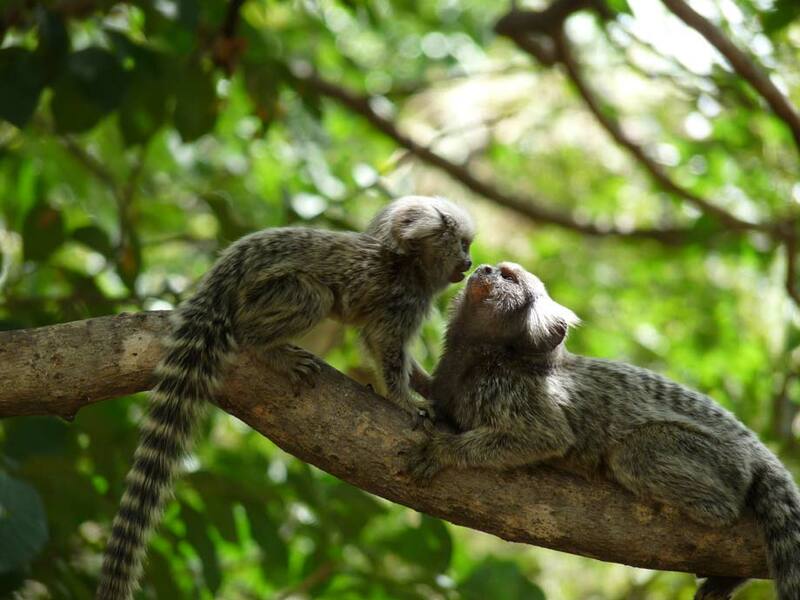 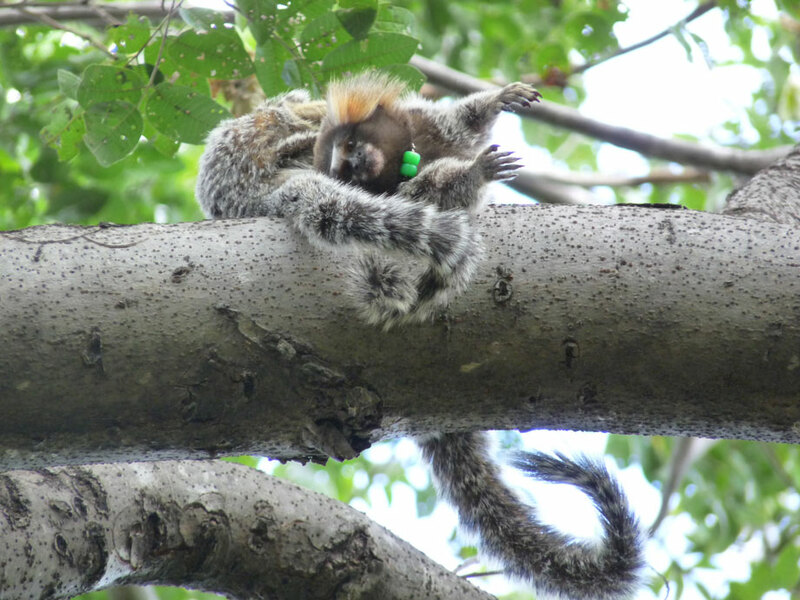 Marmosets are skilled at moving through the branches, both with or without infants on their back. Occasionally the babies leave their carriers’ backs to explore and play. 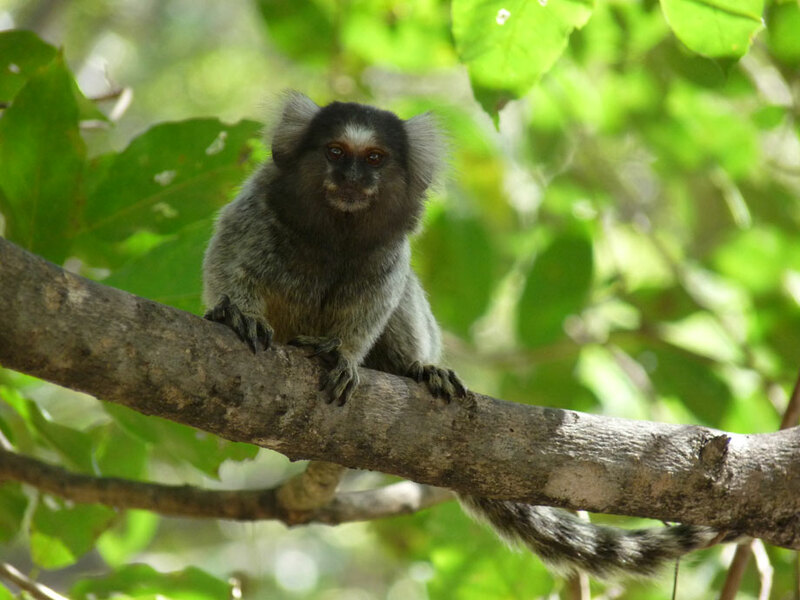 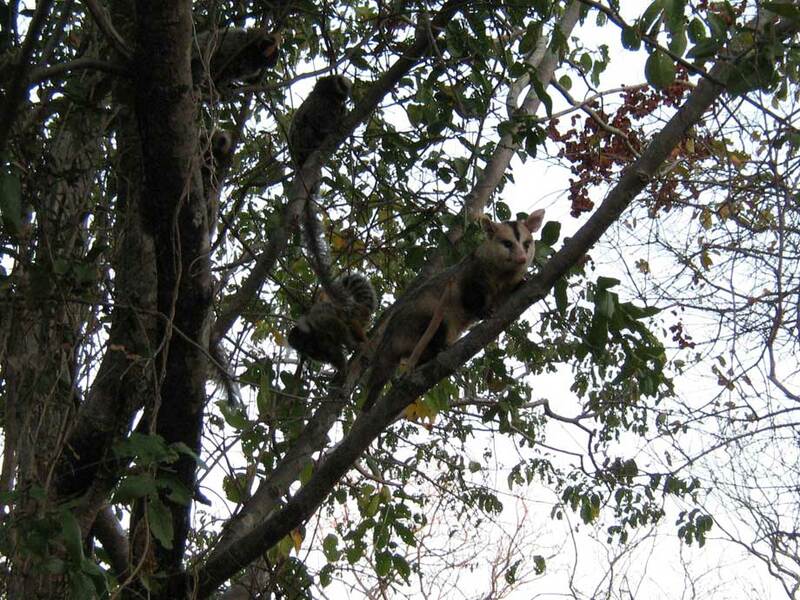 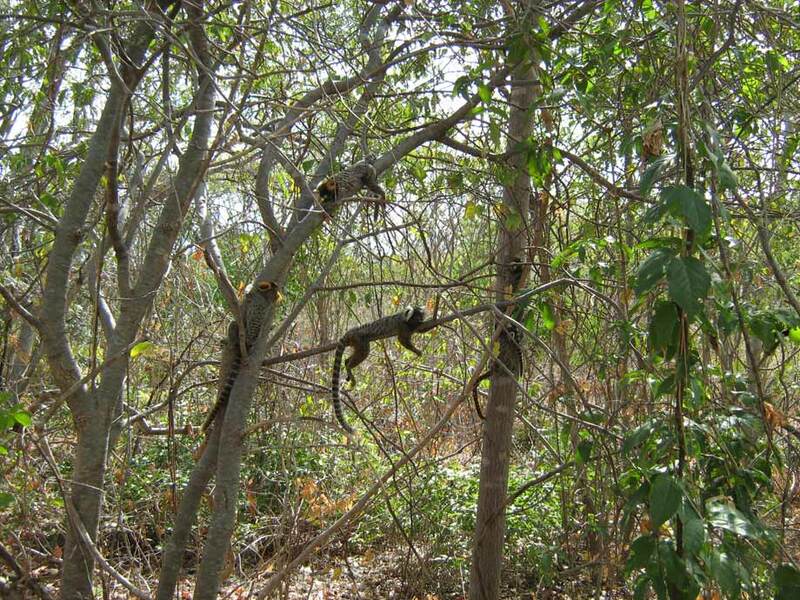 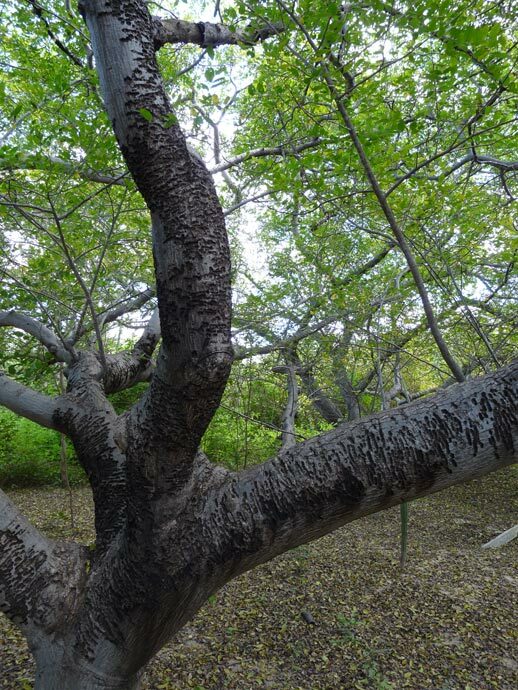 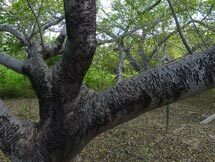 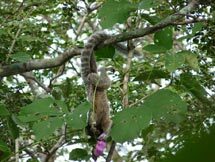 This footage was taken, with assistance from Ana Karinne, at a long-term field site in Brazil, run by Dr Maria Fátima Arruda and Prof Arrilton Araújo, of the Federal University Rio Norte. Marmosets remain alert even at rest. 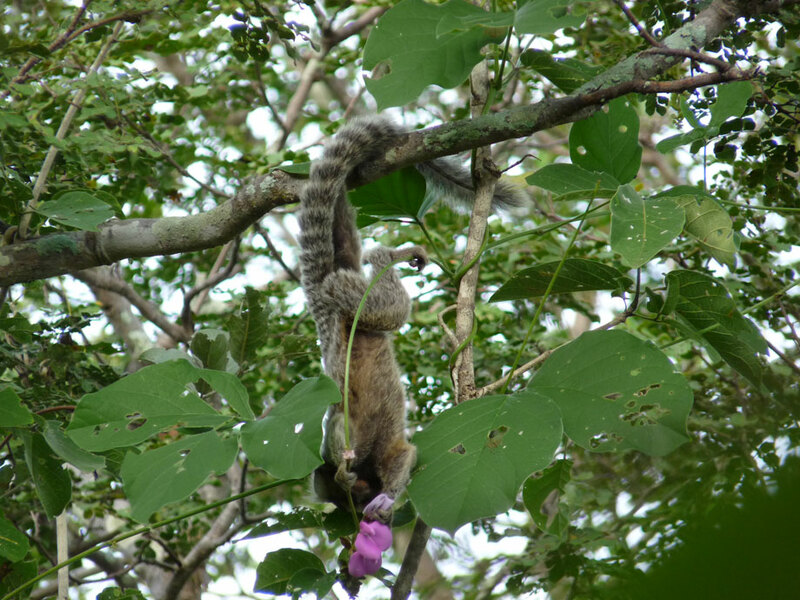 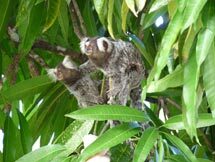 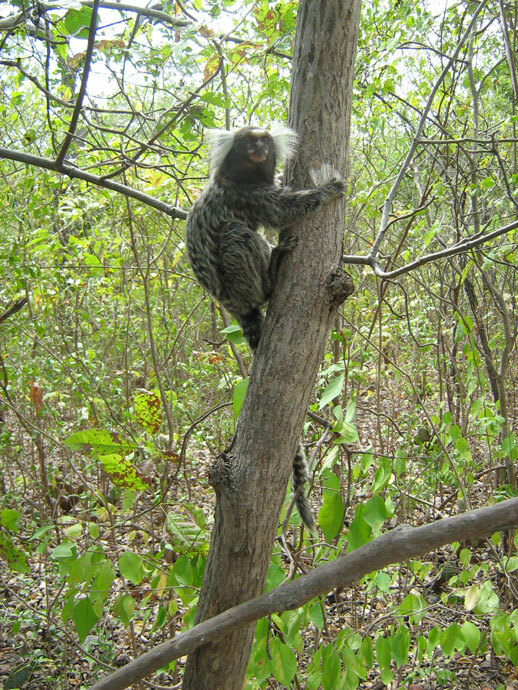 Wild marmosets feed on flowers and nectar. 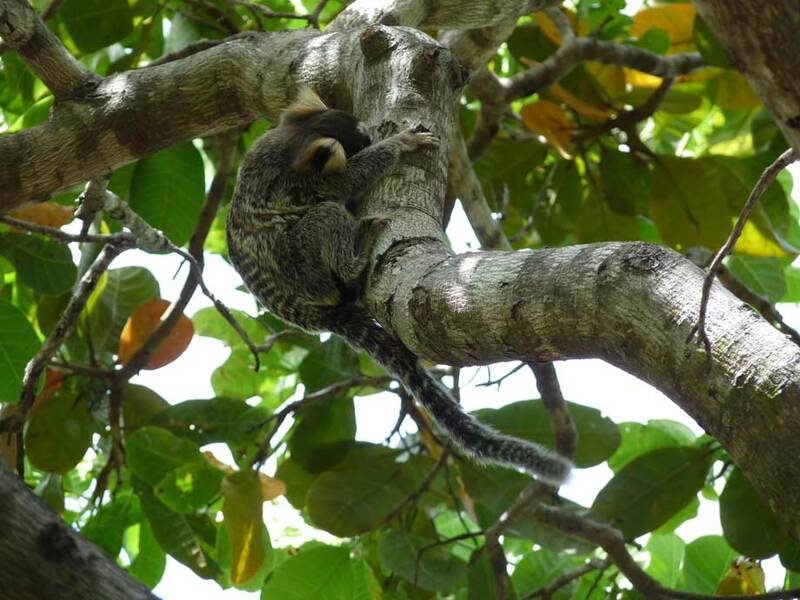 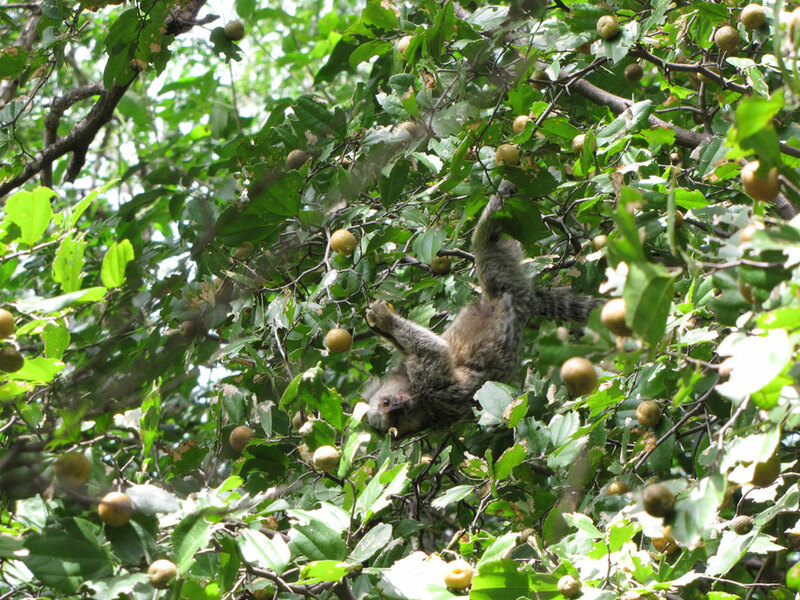 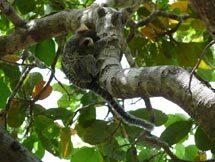 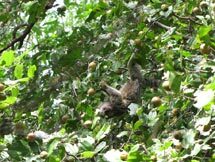 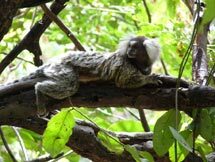 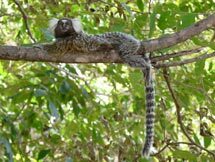 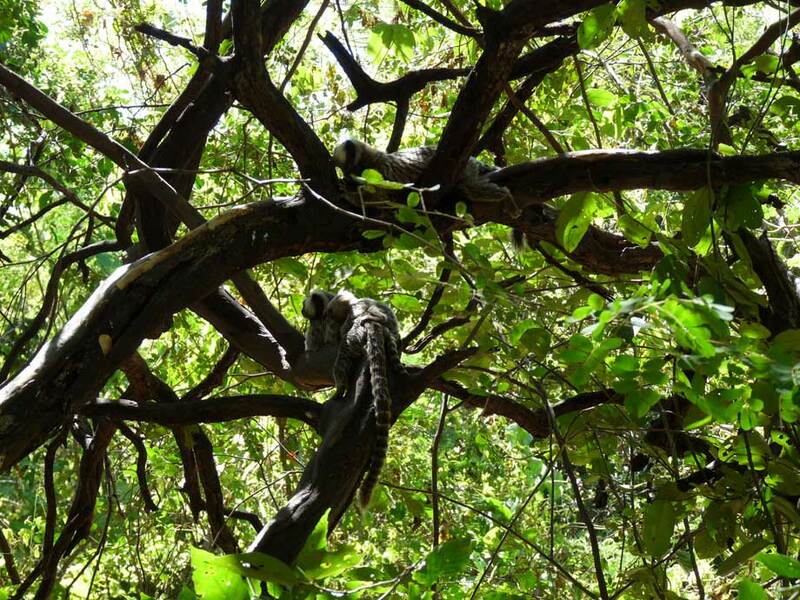 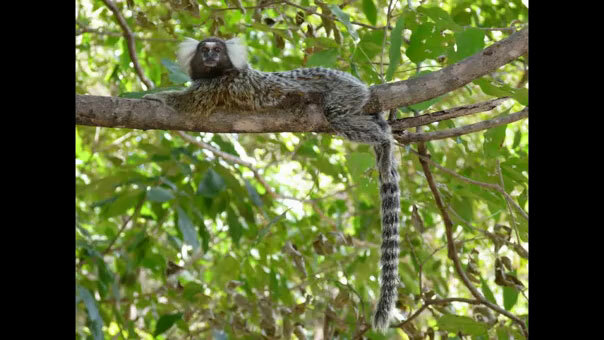 A marmoset rests in the slob/flop position on a branch.